Project Program and Portfolio Management (P3M) represents project management taken to the enterprise level. Increasingly it is being recognized as critical to the success of projects in large organizations, such as governments and multinational corporations. Conversely, it is also being recognized that failure to implement it in an organization will often result in a string of poor performing and failed projects. While P3M should therefore be considered critical for large organizations, it can also play a significant part in improving the success and financial payback of projects in any size of business. 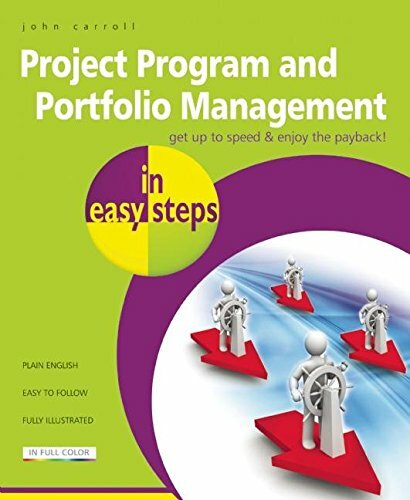 Whether you will be commissioning, running, involved in the delivery of, or are just interested in the possibilities that program and portfolio management can bring,Project Program and Portfolio Management in easy steps will give you a good understanding of the subject. It will show you how to implement program and/or portfolio management in easy steps and how to get the greatest benefit from using one or both in your organization. If you have any questions about this product by In Easy Steps Limited, contact us by completing and submitting the form below. If you are looking for a specif part number, please include it with your message.